Michael Chase is a Researcher at the Jean Pépin Centre of the National Centre of Scientific Research, Paris. 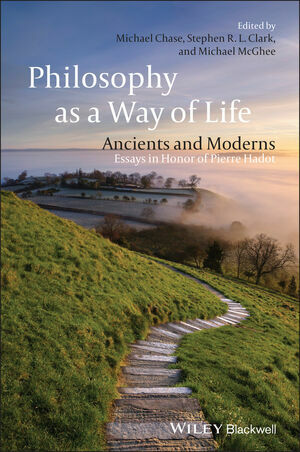 A former student of Pierre Hadot himself, he has completed numerous translations of Hadot’s works, and has also published on Late Greek and Latin Neoplatonism, Patristics, and Islamic and Medieval thought. Stephen R. L. Clark is Emeritus Professor of Philosophy at the University of Liverpool, UK. His books include Aristotle’s Man (1975), From Athens to Jerusalem (1984), Civil Peace and Sacred Order (1989), Biology and Christian Ethics (2000), Understanding Faith (2009) and Ancient Mediterranean Philosophy (2013). Michael McGhee is Honorary Senior Fellow at the Department of Philosophy, University of Liverpool. He is the author of Transformations of Mind: Philosophy as Spiritual Practice (2000), as well as of a number of articles on moral philosophy, aesthetics and the philosophy of religion.